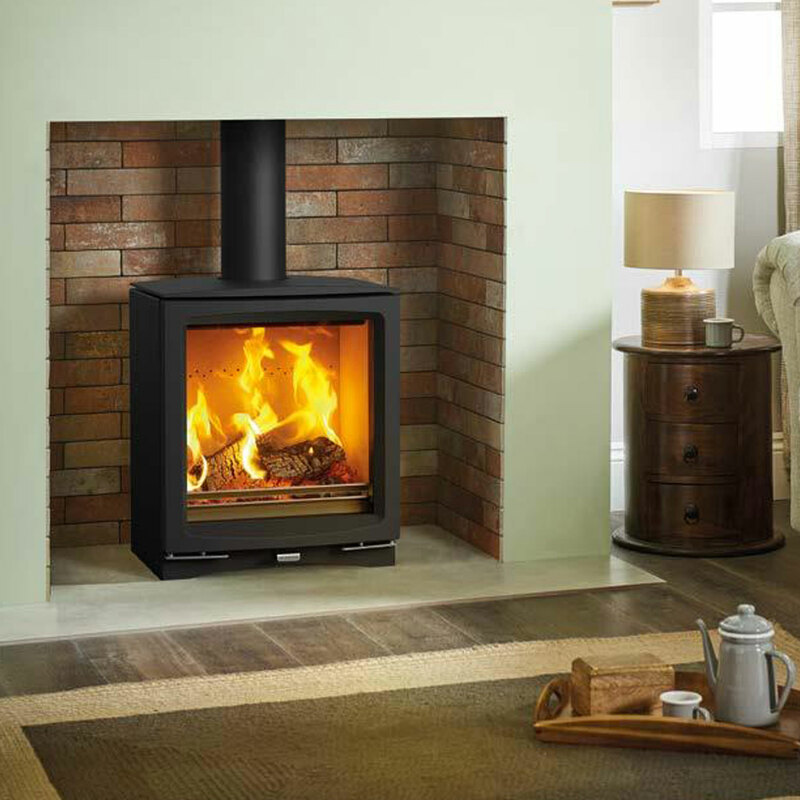 The Vogue Medium provides an impressive 7kW of heat, making it a great choice for larger living spaces. 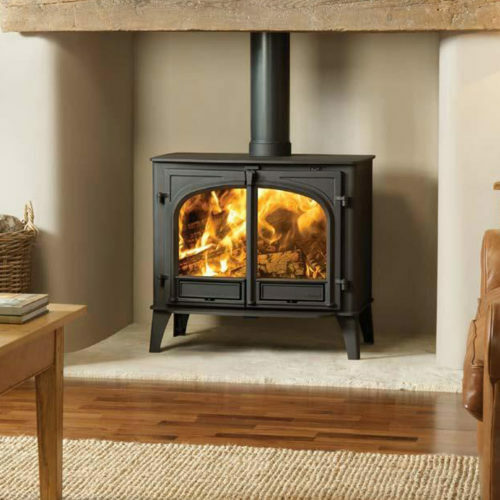 With an expansive stove window that features self-cleaning Airwash technology, the Medium’s superb flame visuals provide a captivating focal point on a cold winter’s eve. 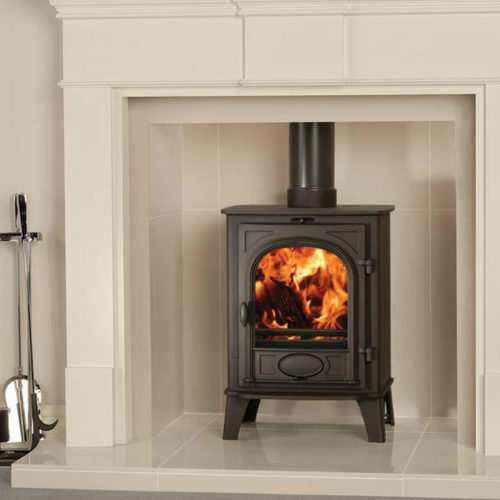 Featuring the very latest combustion technology, this eco-friendly stove burns so cleanly it is compliant with future Ecodesign emission standards. 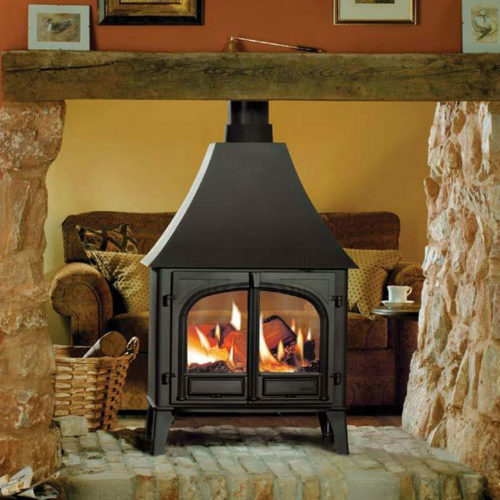 Available with Plinth or Midline log store base options, this modern-traditional woodburning stove can be either installed into a fireplace opening or placed freestanding against a wall. The Vogue Medium is also compatible with our range of stove benches for an alternative, but eye-catching, installation.